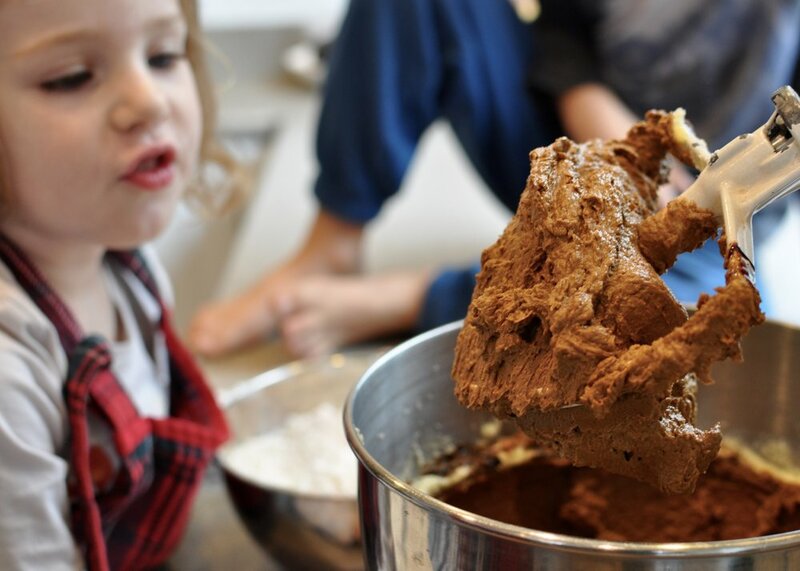 The holiday season is a wonderful time to bake with your children, not only for the learning experience, but also for the sharing experience; delicious cookies make a wonderful gift for friends and family. 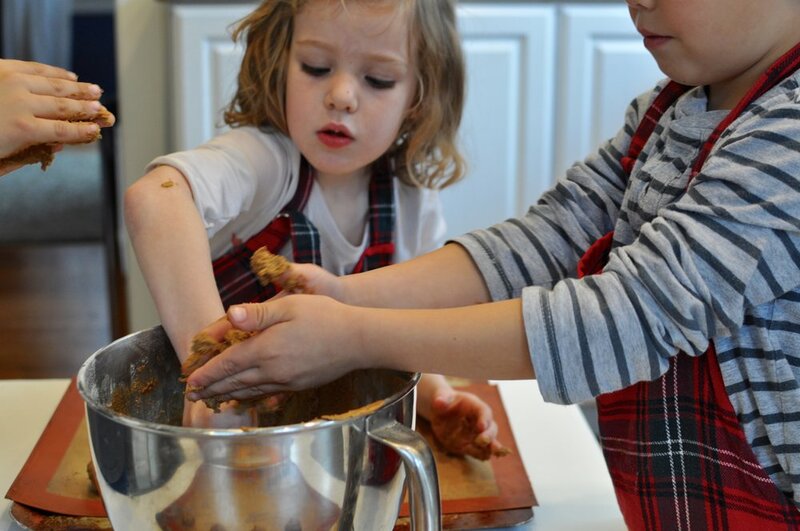 Here, we share a favorite holiday cookie recipe (chewy gingerbread cookies) and a few tips about baking with little ones. 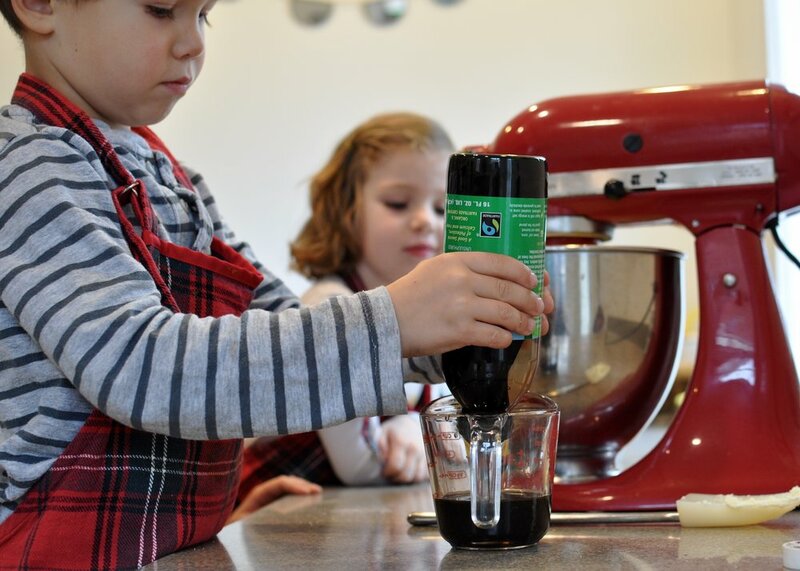 While a stool at the kitchen counter works well, a small child-sized table is even better! 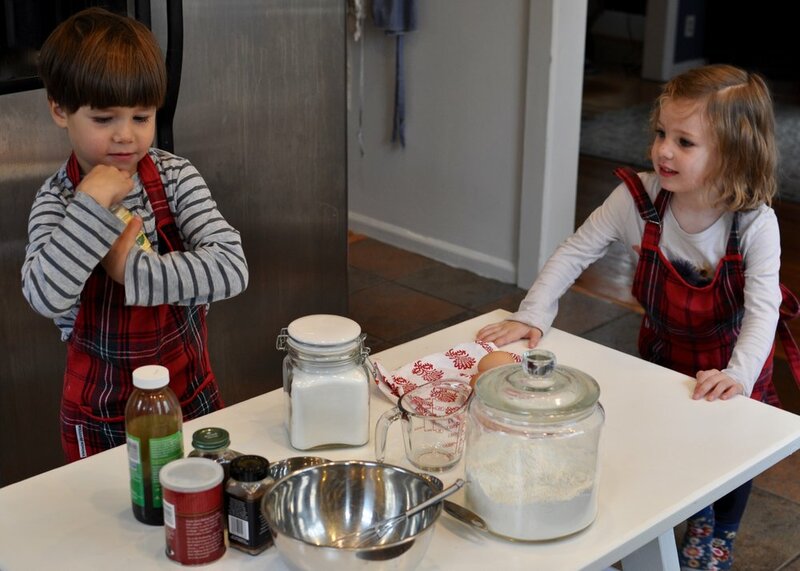 We carried this one into the kitchen for these two Villa primary students. 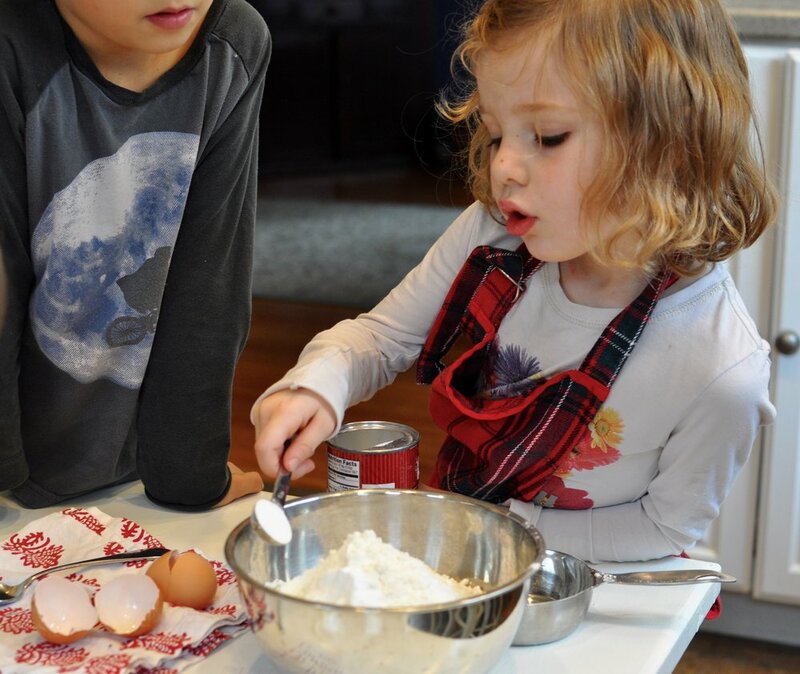 Having a small table at which to work makes it possible for more than one child to move freely around, and to easily measure, stir, and break eggs at a comfortable height. They’re also steadier on their feet! 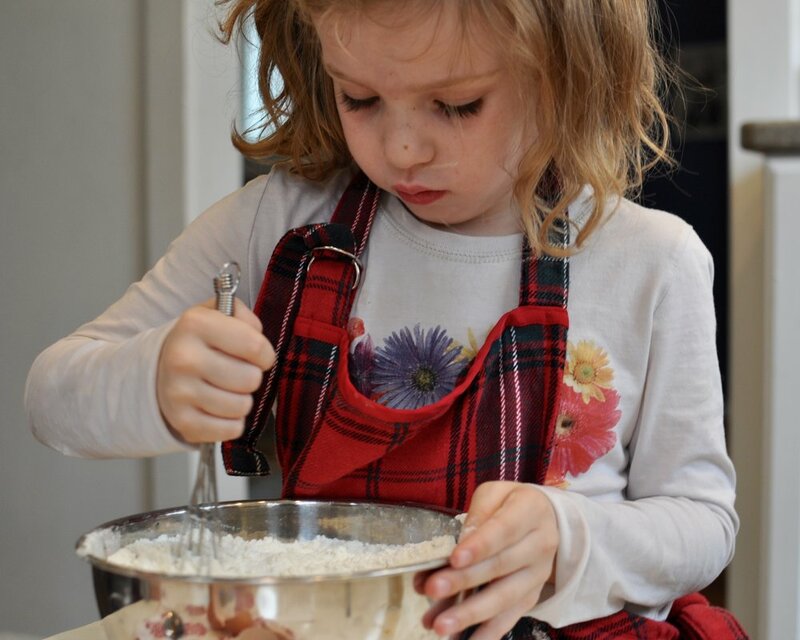 Another tip: set up all the necessary measuring tools and ingredients before asking your child to join you. It gives a good visual of what all is needed, as well as saving time. Show them each step, then let them do it on their own. It’s okay if the measurements here are a little off! 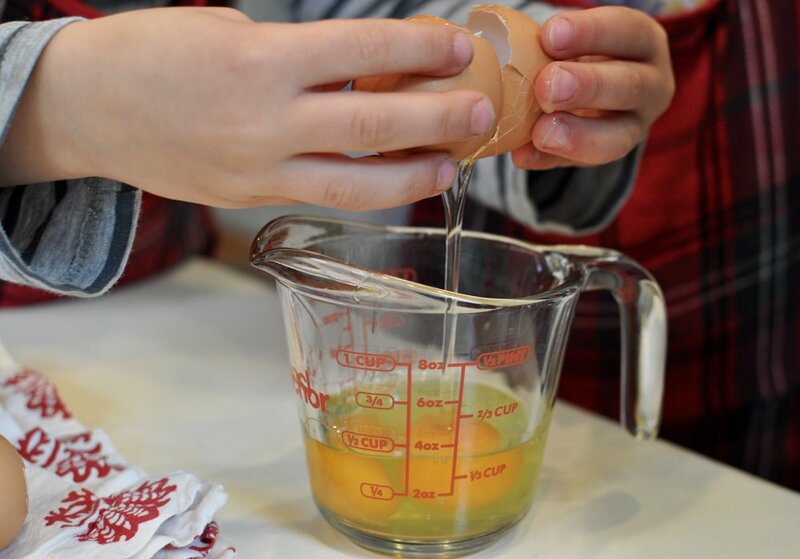 Cracking eggs: while your child is still learning how to do this, let him crack the eggs into a small container rather than directly into the recipe mixture. 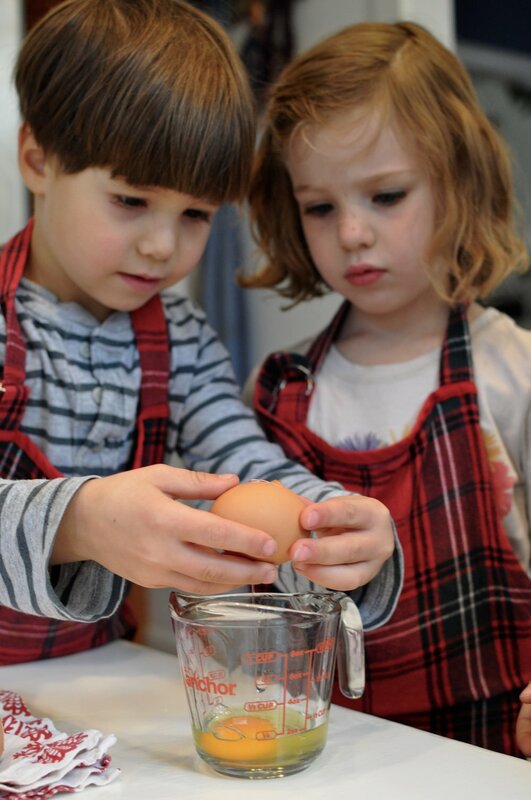 That way, if any eggshells find their way in, you can easily fish them out before adding them to the mixture and losing them. Preheat oven to 375. Cream butter and sugar together for 2 minutes, until light and fluffy. Add eggs, one at a time, mixing well after each. 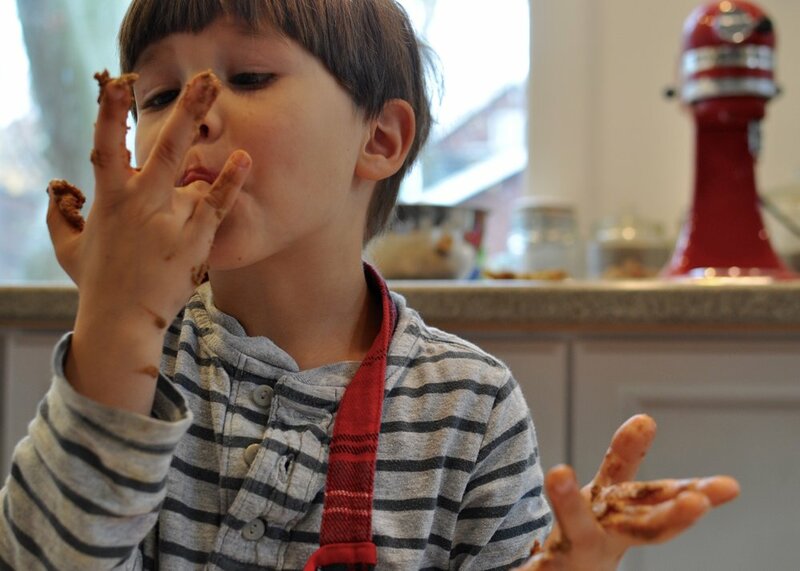 Add molasses, scraping down the sides of the bowl to incorporate. 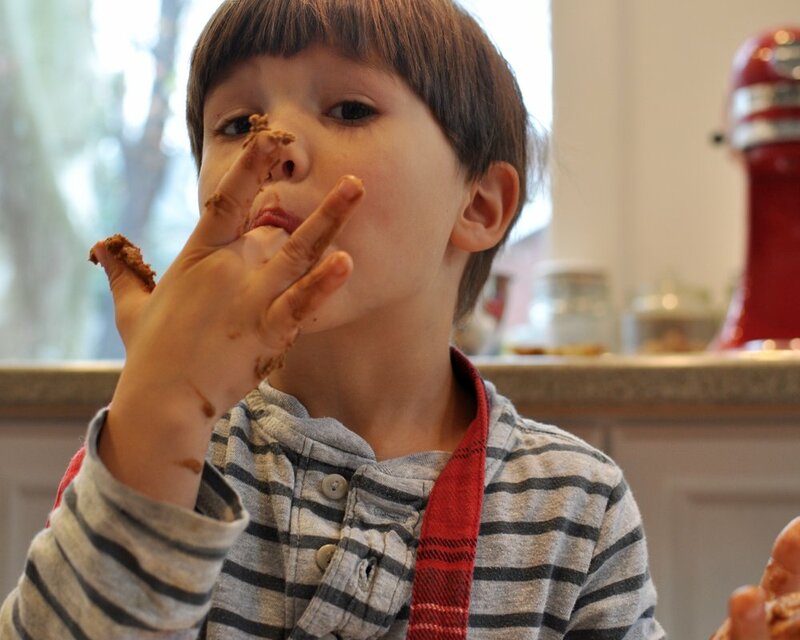 Mix dry ingredients with a whisk, then add to wet mixture. Mix well. Place into refrigerator for 10 minutes so that dough will not be too sticky. 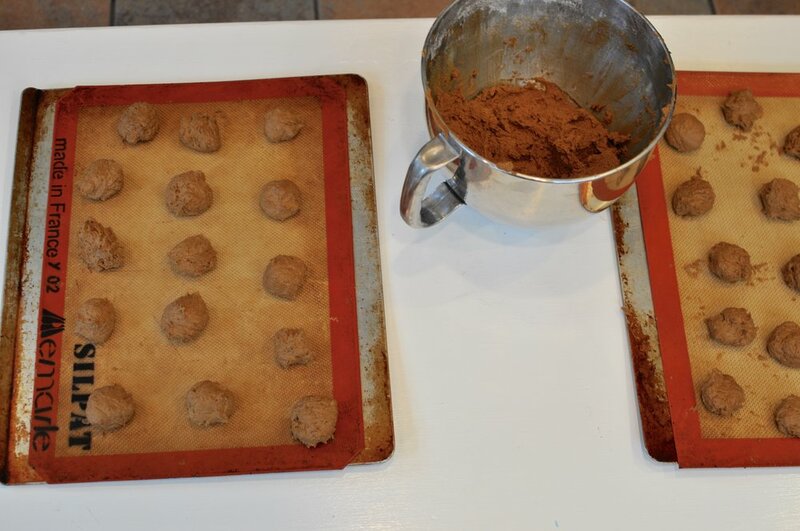 Roll tablespoon-sized amount of cookie dough until round, then place on cookie sheet with parchment (or use nonstick, or grease cookie sheet), being sure to space out evenly, as the cookies will spread in the oven. Bake at 375 for 10 minutes. Allow to cool before removing from cookie sheet. Enjoy, and don’t forget to share! Another tip: if you have more than one child helping, be sure to divvy up the tasks so that everyone gets a chance to do each step. 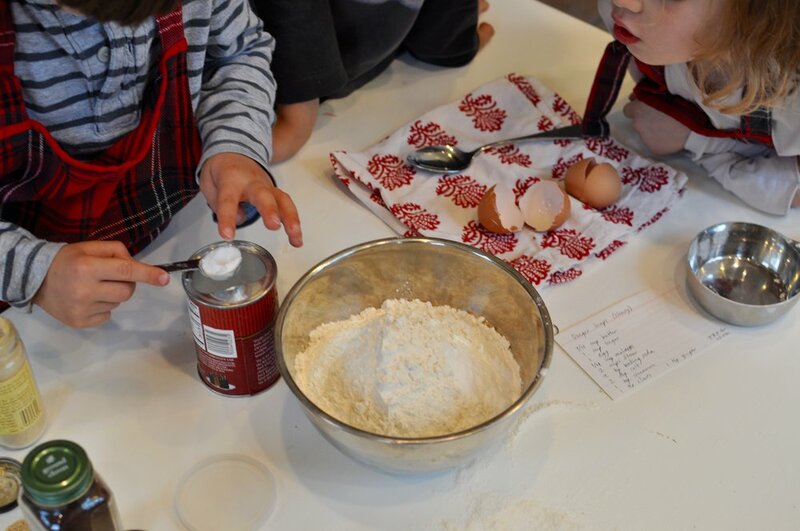 We alternated adding dry ingredients and using the whisk to mix it up. 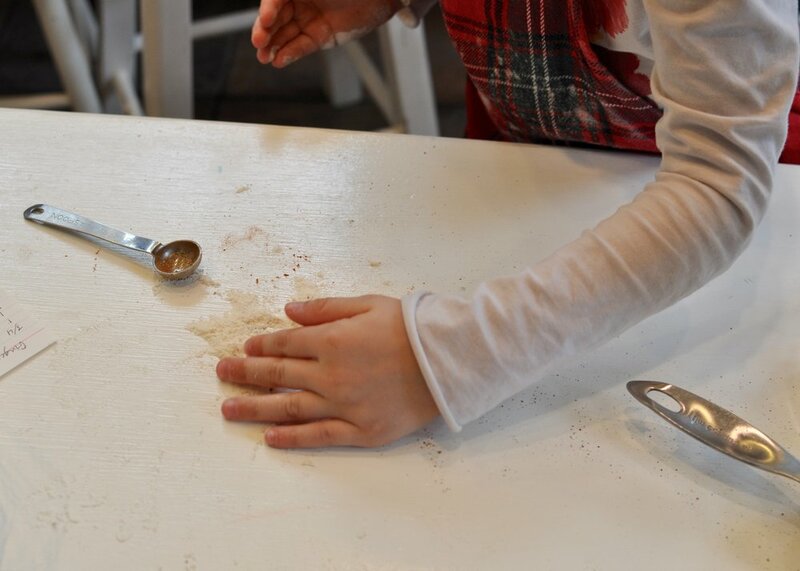 A true Montessori moment: cleaning up without being asked! 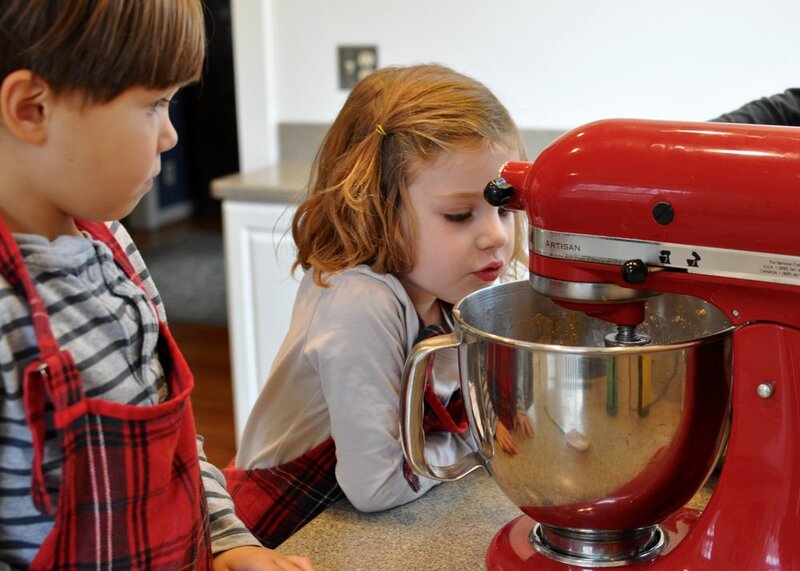 Another opportunity for independence is operating the stand mixer: under supervision, let your child experiment with the different speeds (of course, remind her to never ever put her fingers into the mixing bowl while it is going!). 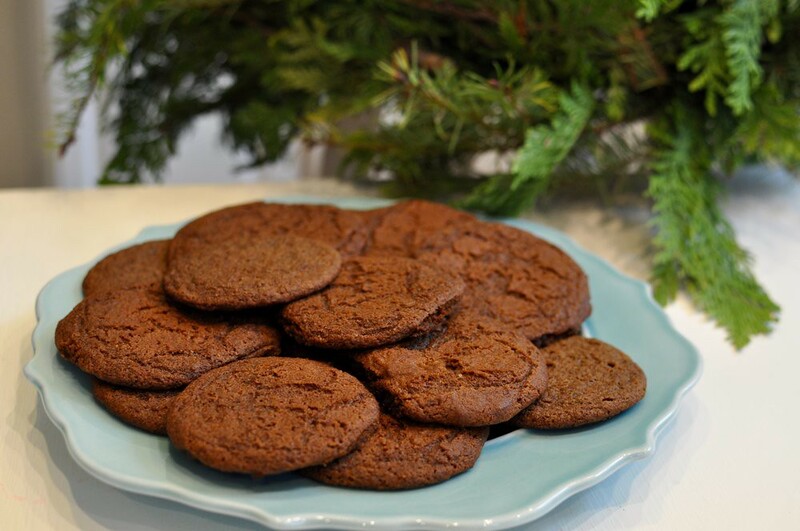 … especially when the mess tastes as great as these gingerbread cookies! 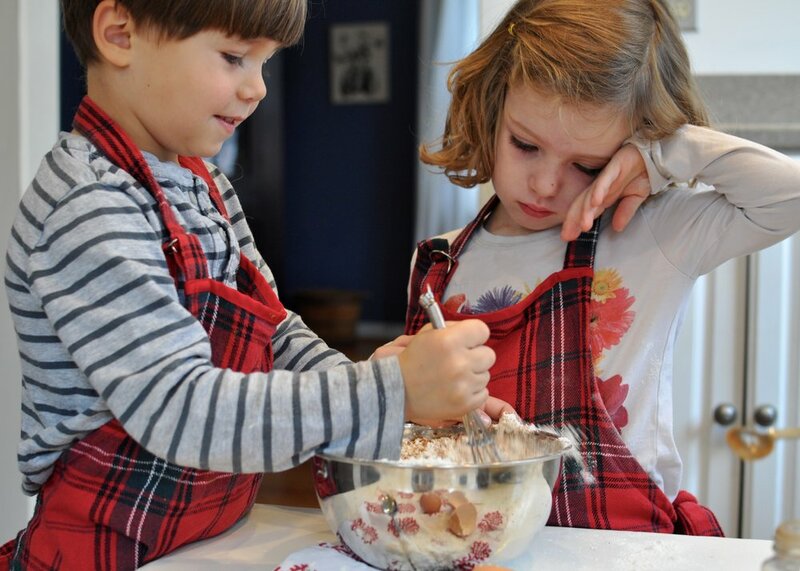 Happy Holidays, and we hope you enjoy this recipe!